Dust mites and mold are two problems that not only are a detriment to your health but can create severe problems for your home. Going unchecked for even a short amount of time both "invaders" can damage your personal property and heighten allergies. Kenmar Basement Systems offers a mold & dust mite control quotes in Ontario. This includes North Bay, Sudbury, Elliot Lake, West Nipissing, Garson, Sturgeon Falls, Blind River, Haileybury, Mindemoya, Espanola, St. Charles and the surrounding areas. Get a Mold, Rot, and Dust Mite Quote! Mold, dust mites, rot, and humidity are home problems that we speacialize in. 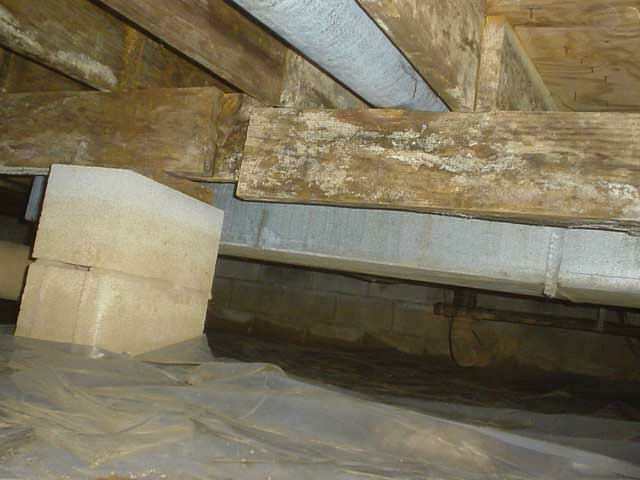 Kenmar Basement Systems can provide you with the proper solutions to combat and prevent these troubles. 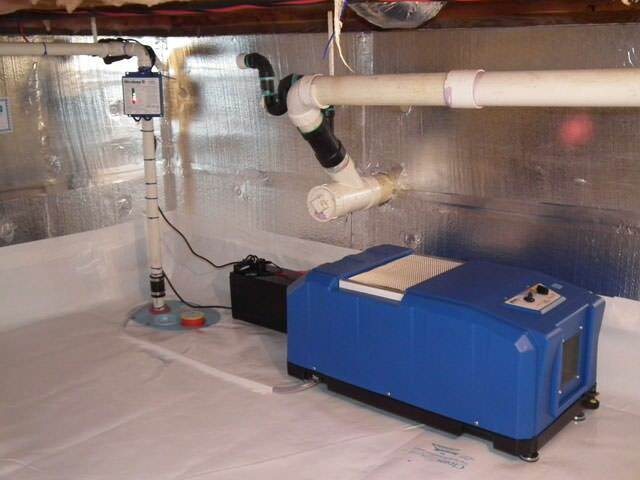 Our specialty services and products will seal your basement or crawl space from outside moisture while our ENERGY STAR® rated dehumidifiers remove humidity to keep your space dry and healthy. The experience and knowledge we've gathered since 1984, combined wit hour superior products allow us to keep you dry and comfortable! 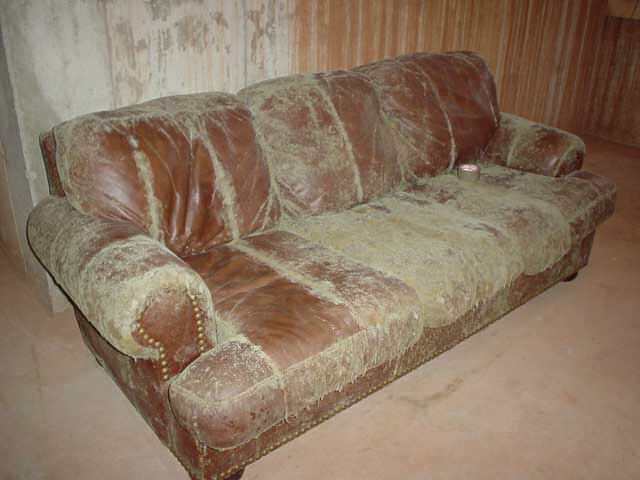 Dust Mites and Mold Live On Organic Materials: Nearly everything contains an organic compound in it's makeup. And that gives dust mites and mold an almost never-ending menu to pick from. Dust mites are very small and hundreds of them can thrive and multiply in a very small space. Each dust mite produces 20 waste pellets a day. Multiply that by the high number that can quickly breed and you have a real problem. 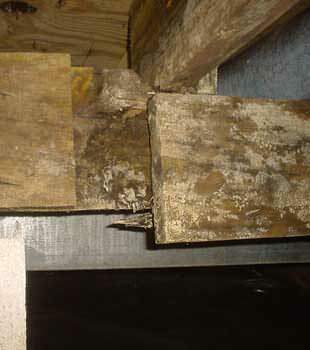 Mold Can Live In The Cold: Mold can grow in environments that would seem fairly inhospitable. Mold spore research has shown that mold can grow and spread as long as the temperature is above 40 °F (4 °C. Mold & Dust Mites Spread Fast: It only takes mold a minimum of 24 hours to grow in your home with multi-millions of spores thriving in just one foot of dampened walling. The lifespan of a female dust mite is only three months. But in those 90 days she can lay upwards of 250 eggs. Mold Can Bring Insurance Troubles:Most general liability companies and property insurance companies have removed mold insurance from their policies because of the over-abundance of mold-related claims being filed. Mold Can Ruin Your Home: Mold can destroy the structural integrity of your home and making it unlivable. 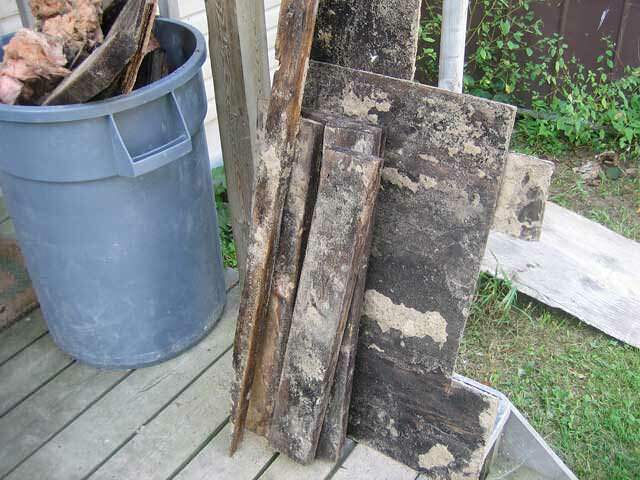 AND mold can ruin the resale value of your home making it un-sellable as mentioned by Professional Builder Magazine. Mold Spores Are Unhealthy: Mold spores become airborne and inhaled causing respiratory problems and health concerns. Spores can also have a bad effect on us through ingestion and simple contact with our skin. Even dead mold spores can be damaging to your health if inhaled! Dust Mite Waste Is Unhealthy Too: In a scientific study it was shown that allergic skin reactions were highly noticeable in 90% of patients when they were exposed to dust mite waste. 80-90% of the allergic component of house dust is made up of dust mite waste which contains more than one dozen allergens that cause allergic reactions. American Family Physician has been quoted as saying "controlling dust mites is the most important thing you can do in your house to make your asthma and allergies better." Mold and Dust Mites Are Small But Tough: Mold spores and dust mites are incredibly small and can live anywhere there is an edible or safe "home". Mold can thrive in unlikely places such as behind wallpaper and in fiberglass insulation. Dust mites favor to live in your pillows, furniture and carpeting. The Final Word: Glenn Fellman, the executive director of the Indoor Air Quality Association has been quoted saying, "If you are reacting to a problem because somebody's been sick, you've waited way too long to address indoor air quality." Do it now! 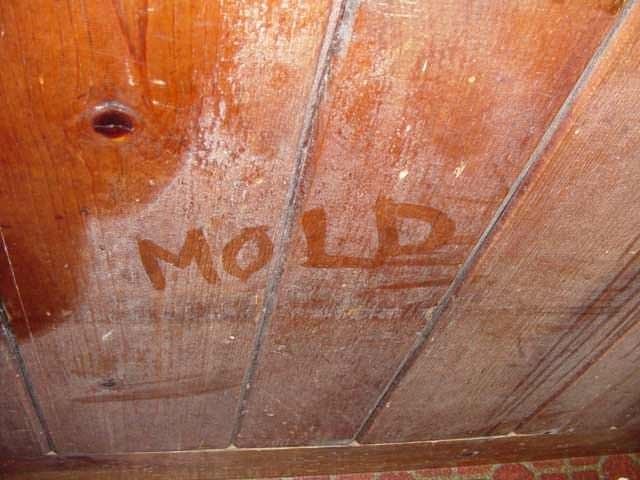 Mold, rot and dust mites need a steady supply of moisture in order to live and spread. They can even spread when the water source is in the form of vapor in the air (i.e. humidity). 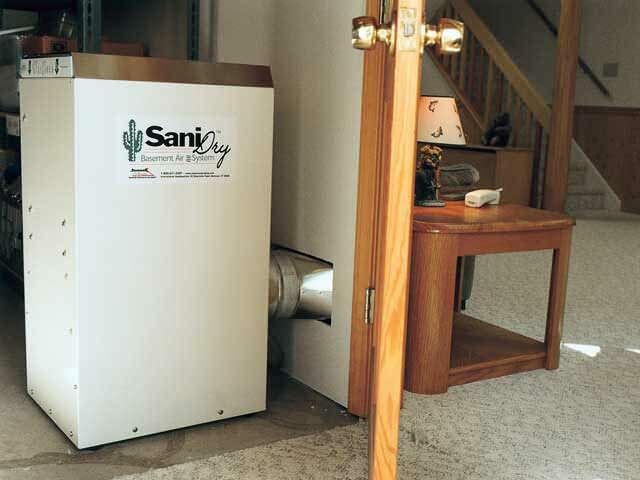 By lowering the humidity below 60%, mold spores and dust mites cannot survive. Using a vapor barrier and installing a dehumidifier to eliminate outside humidity lets you take charge in the fight against mold and dust mite problems. 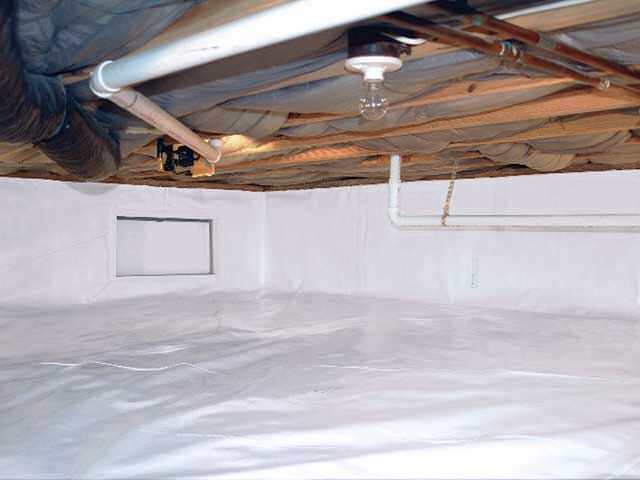 Kenmar Basement Systems offers free moisture control quotes to homeowners in the Ontario service area. Each quote includes an in-home inspection, a written quote, and a copy of our 88-page book covering basement waterproofing & crawl space questions.